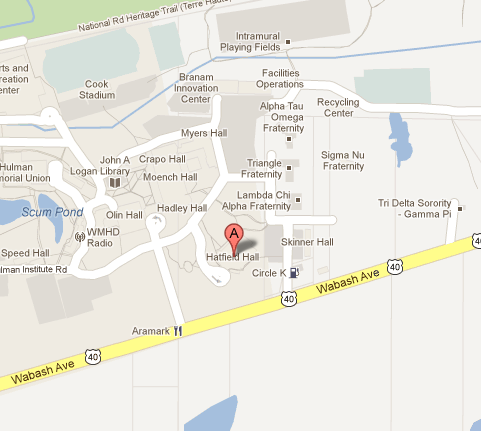 Just east of Terre Haute on U.S. 40, Hatfield Hall is easy to find. Event parking is free and behind (to the east) of the building. Additional parking is available just to the north of the building. 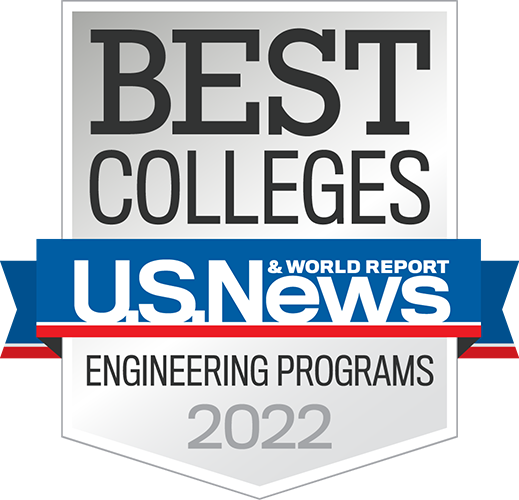 Rose-Hulman is located in western Indiana on the Historic National Road, Highway 40, just north of I-70, at 5500 Wabash Avenue Terre Haute, IN. Free event parking is located directly behind Hatfield Hall. Entering Terre Haute, follow US 41/State Highway 63 to Ohio Street (approximately 1.8 miles). Turn left on Ohio, and continue for about 3 miles to Fruitridge Avenue. Turn left, and proceed to the stoplight at Fruitridge and Wabash. Turn right on Wabash, and continue 2 miles. Rose-Hulman is on the left. Proceed west toward Terre Haute. Rose-Hulman is on the north side of US 40 about ½ mile west of the stoplight at Lost Creek Elementary School. If you reach Highway 46 you’ve gone too far. US 41 becomes Third Street in Terre Haute. Continue on it until you reach the I-70 interchange. Go east on I-70 just 4 miles to the next exit (Exit 11) and go north on Highway 46. Turn right at Wabash Avenue. Rose-Hulman is about ½ mile away on the north side of the road. Take Exit 11 and go north on Highway 46 to Wabash Avenue. Turn right. Rose-Hulman is about ½ mile away on the north side of the road. Drive north on Highway 46 to its end at US 40 (Wabash Avenue). Turn right. Rose-Hulman is about ½ mile away on the north side.